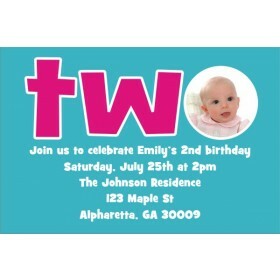 Ladybug Birthday Invitation (with Optional Photo) Our ladybug birthday party invitation is almost too cute for words! 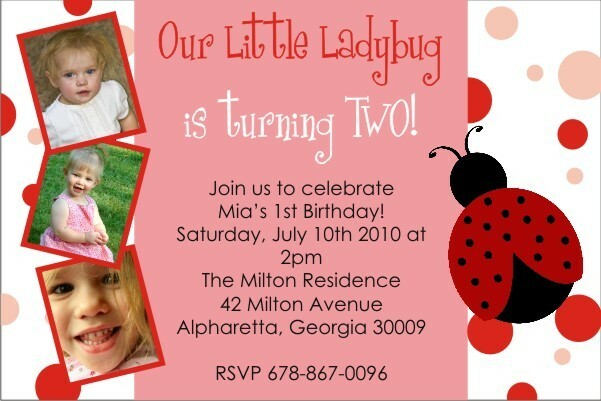 If features a pink and red color scheme and beautiful ladybugs! 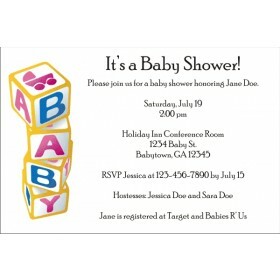 It has room for up to 3 photos, but they are not required. 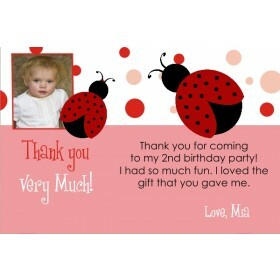 A matching ladybug thank you card is also available.